♫♪ see u soon 01 ??? 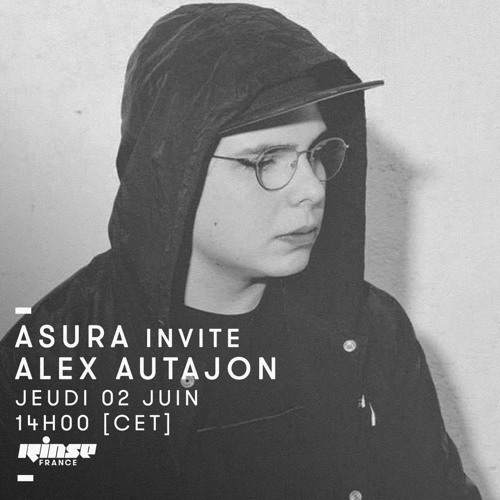 : "Intro" 02 v1984 : "Becoming (N)one" 03 Alex Autajon : "Me & Her" 04 A$ap Ferg : "Yammy Gang" 05 Darkstar : "A Day's Pay For A Day's Work" (Nguzunguzu Remix) 06 Sinjin Hawke : "Prom Nite" (Kush Jones Bootleg) 07 Kelela : "Rewind" (Air Max 97 Remix) 08 Jam City : "How We Relate To The Body" 09 Parris Mitchell : "Ghetto Booty" (Alex Autajon Edit) 10 2Chainz : "No Lie" (Cashmere Cat Edit) 11 Ballast : "Tepid" 12 Jam City : "The Raven" (Air DJ Dale Dub) 13 Helix : "Drum Track" 14 Brenmar : "Payroll" 15 NKC : "BTD150" 16 MikeQ & Divoli S'vere : "She Wants" 17 Bleaker : "Hype (Funk)" 18 Pedro 123 : "Coolant VIP" 19 Alex Autajon : "Wanna" 20 Migos : "Hannah Montana" (Vices Remix) 21 Tendra Moses : "Just Wanna Be Your Girl" (Cartel Remix) 22 TT The Artist x Dai Burger : "Cookin" 23 Dj Funk : "Three Fine Hoes" (Sinjin Hawke Remix) 24 Dj Rashad : "In Da Club Before Eleven O'clock" 25 Korgbrain : "Higher" (Big Dope P Remix) 26 Three Six Mafia "Poppin My Collar"
track id? I used to play this track but don't remember, nguzunguzu maybe?